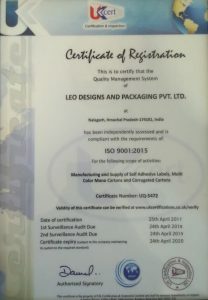 Leo Designs & Packaging is an ISO Certified Printing and Packaging Company in India and we feel proud to share this news with you. International Organization for Standardization (ISO) is an independent, non-governmental international organization which measures the true commitment to quality of any organization determining whether it has met the requirements for certification. Presenting Certification of Registration of Leo Designs and Packaging Pvt. Ltd. 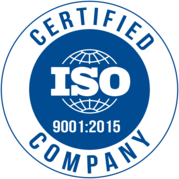 The ISO 9001:2015 standard is recognised worldwide hence assuring customers about the company management systems which are constantly assessed and approved. 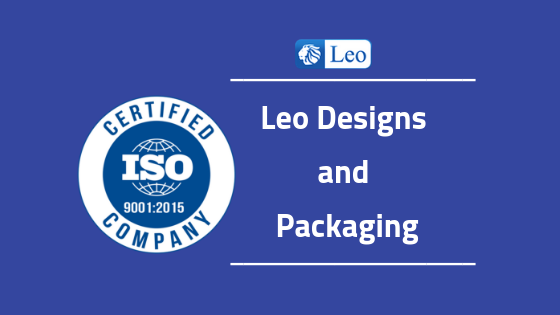 Our ISO certification is the evidence of our exceptional quality and management systems that ensures Leo Designs and Packaging is consistently producing materials, products, processes and services that meet world-class standards thus providing best packaging services in India and around the globe. Are you looking for Printing Packaging Services in India? Feel free to contact ISO Certified Leo Design and Packaging.